Earning the right followers, the right way. In this article I'm excited to share three easy "techniques" that I've used to drive engagement and a stronger following on Instagram. These steps have stood the test of time while trying out different ideas through trial and error. You may know one of these techniques, you may know all of them. Nevertheless, let's get started! Before we dive into these quick methods to drive new followers to engage with on your Instagram page, I'd like to give a quick back story on how I realized I was approaching Instagram completely wrong. I would post my best work consistently and engage with those I mutually followed on Instagram. Even if I was posting my best work, I still wasn't growing. What was going wrong? The answer is that I wasn't jumping outside of my Instagram bubble. I was posting with decent hashtags and was engaging with my friends, but I never "advertised" my page. If you're not engaging outside of your Instagram bubble, how will others know you even exist? It's really easy and lazy to sit here and say, "Add relative hashtags blah blah blah." But that's not what I'm here to say. Instead of just adding a quick hashtag in your caption, actually search with other users who are using that hashtag and engage with them. For example, lets say you use #portraits. Open up #portraits and look around for users that inspire, impress, and draw to you. Whatever it may be. I've done it and it actually has sparked many friendships around the world. I've met Instagram acquaintances that I'm going to visit and collaborate with in Europe; I would've never met them had if it wasn't for using this method. Engage with the hashtags you use! You may or may have not seen these "feature pages." In case you do not know, they're essentially Instagram pages that feature various user's photos (in our case, photographers) periodically to their following and that specific niche. These feature pages attract a large following because they act as a hub for followers to see amazing work without having to follow too many users. In turn, those whose work is featured, benefits from maximum exposure to who follow that specific feature page. For example, at Fstoppers we have our own feature page where we display the best images coming from the Fstopper's community. If your image is featured, your work and Instagram page benefits from exposure to hundreds of thousands of Instagram user's that hold the same interest as you: photography! 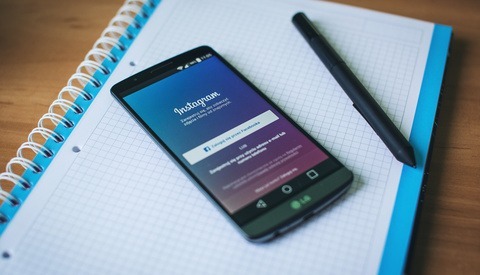 There are generally three or four different ways to increase your chances of getting featured on Instagram feature pages. Hashtags - Usually feature pages will establish specific hashtags denoted to their page. From that point those in charge of that Instagram feature page will harvest their favorite photos to feature from that specific hashtag. Tagging - Tagging an abundance of feature pages to your latest photo will also be a method to increase your chances. Similar to hashtags, those in charge will look at their tags to select their favorite photos. Direct Messaging Pages - This method I don't use all the time, but if I feel strongly about one of my images, I'll direct message a few pages my photo to them. Sometimes you'll hear back that they'll be featuring your image. 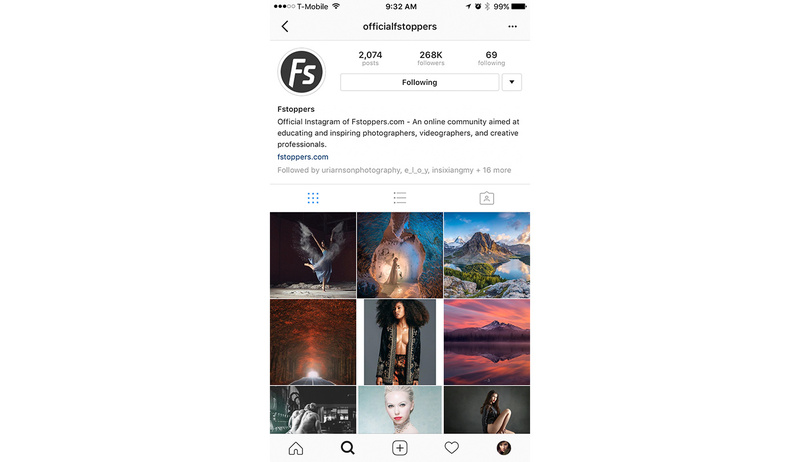 Posting on the Fstoppers Community - This is specific to Fstoppers, but our team selects our work for the Instagram feature page exclusively from the Fstoppers community. Post your work under your portfolio section on your Fstoppers profile with a brief description about your photo to increase the likely hood of your work being featured! The #vscocam hashtag currently has 119,526,141 posts. Yes, hundreds of millions of posts. Not only is your photo a needle in a haystack, there are literally thousands of people posting the same hashtag as you at the same time. Your photo essentially falls into a black hole of no return and no one saw your photo because it gets lost in the feed. These hashtags aren't relative to your work, niche, or photography interest. Even if someone visits your page from the #vsco hashtag, they may not have interest in product photography or wedding photography. So What Are The Right Hashtags? The right hashtags are those relative to you and your work. If your a wedding photographer looking to reach brides or other wedding photographers, use hashtags that will be more effective and people that hold the same interests as you! Correct hashtags have posts that range anywhere from 5,000 to 500,000 previous posts. 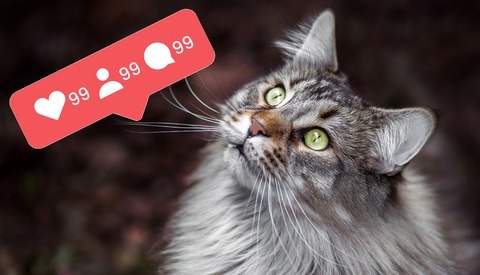 That way your image isn't bogged down from everyone else posting at the same as you and reaps the benefits from staying at the top of the feed. At the end of the day, the quality of your content is king. But using effective strategies to grow your Instagram will always help. Engaging with users relevant to you outside of your Instagram bubble, submitting your work to feature pages, and using correct hashtags are all effective strategies to grow your brand. There are an abundance of reasons of how hashtags can benefit your photography, the network opportunities alone is a great way to use Instagram as a tool. What kind of methods do you use to get your Instagram out there? Do you use Instagram as a networking tool to find creatives to collaborate with? Share your thoughts! In Part 2 of this Instagram series, I'll be consolidating a list of the best hashtags for specific photography genres. Anywhere from portrait photographers to astrophotographers, and beyond! Stay tuned! Thank you for the information, Nick! I stopped using Instagram for a while, but just started over with a new account. So, your tips came at the right time! And since you like portraits, you might want to check out my images on Instagram at iamdandonovan Thanks again! don't let social media performance discourage you, a lot of full time professionals have a small following on social medias. I liked this write-up, thanks! Coming from an amateur photographer and someone who doesn't use Instagram (but hears about why I should daily), this is good advice and the article's ("too" oopsy, I edited...) to the point. I do (or have in the past) used Instagram as a networking tool to find creatives (models) to collaborate with, but it's been all one sided whereby I don't have an account, but they do... It's more like a cold calling list instead of the collaborative (or even community) way of using Instagram [properly]. Some great info in here, it's totally a grind to build organic followers but can open up some really amazing opportunities if you work at it. I would also add, post regularly (for me it's 5-6 times a week, almost every day at optimal times) post your best work and make sure to engage with your followers. Looking forward to the hashtag post. The bottom line is you must have great unique artwork of high quality. No one will pay attention if you dont. It takes years of dedicated hard work and study. The new generations are too lazy to do it. Social media wont do much for them. I always thought that expressionless half naked women was the key to more followers and likes. Thanks for the tips. They are indeed useful for those that are looking to gain an audience. heh, works for me. mostly the half-naked part. I don't really use hashtags or lots of tags that don't pertain to my image and I try not to post multiple times a day or post too far out of my usual content. I would love to see more engagement - working on that aspect. It's not the quantity, it's the quality. Took me a long time to realize that! Very useful tips Nick, thank you! As a beginner on IG i wonder how do you recognize a feature page from any other type of page? These are all practices I've been putting into my own IG lately. All except for getting featured. I know a lot of those pages have the same style and I just don't fit that at all. I thought about doing some free trade shoots in between my regular stuff to try and get featured just because of how valuable that is though. I just don't want people to see that and then only want me to do that. It takes hard work if you are a photographer. I've been featured on many celebrity Instagram pages with 500k to 2M followers and you will only get 50-200 new followers. Networking and replying to all comments are good keys as well as posting 1-3 times a day. I've landed many clients via Instagram, mostly actors/models looking for portfolio updates/headshots. I will say Instagram is often the new portfolio when meeting potential customers in random places. Having a nice following will impress people as most people will not dedicate the time to look at your website. I've often been hired for corporate jobs without anyone even going to see my website. Thank you for your gracious reply, Brian, and for taking the time to respond - much appreciated. Diversity in marketing oneself and your brand is key these days, so I'm always looking for a new edge. FYI - to better market your book, you may want to check out US author and trainer Tim Grahl's FB page, or his website. He's currently offering a free webinar titled,"4 Types of Book Launches: And how to use them to launch bestselling books." I hope to publish a book later this year on Antarctica. Nice article.. although engaging with hashtags does work for certain things...but not all. Yes quality is King, But you can have truly amazing award winning images and if people don't know your page is there.. what good is it. You have to get out there and drive followers to your page. The way to do that is being active and finding people who are truly interested in the subject matter of your images is really the key. 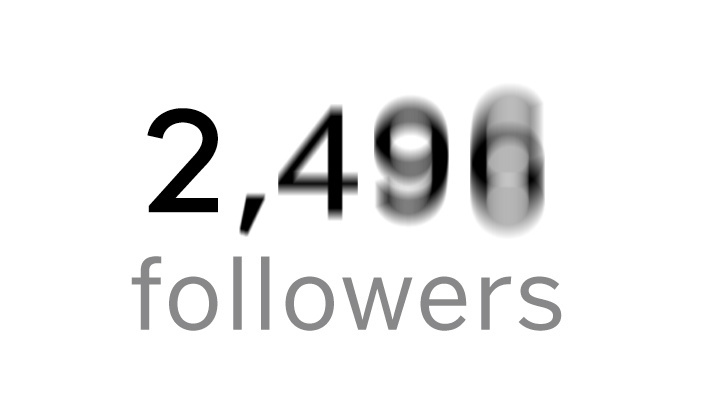 On a side note... Buying Followers does not work. 99.9% of the time.. those are dead accounts and will not get you any activity on your page. Mate, I checked out your photo instagram account. It looks very fishy to me to be honest. First of all - how could you get (honestly, and not being a celebrity) 9604 followers having only 54 posts? The content looks pretty mediocre to me (but that's just my opinion of course). And the most interesting - I looked at the people that you are following, and every account I clicked on was private? In short - I don't think you got your followers the 'honest' way. Also your comment here is probably just to get more undeserved attention to your instagram feed. Good advise. Another place I like to explore is the locations tag section. I'll scope out and engage at gallries, events, cool places ect. Can you talk to me a little about this app? 1. post once a day, or once in two days - ONLY your best good/high quality content. max 3 times a day, intervals of 3 hours, e.g. 9am, 12pm, 3pm, monday to fridays. 2.be personal without being TOO personal (e.g your travel photos, style photos, not photos of your meal, not photos of your relationship). 5. don't only post professional DSLR work, post mobile photography too of just normal nice things non photographers like to see (e.g. travel, style, design, locations, sky, clouds, sunset, nature etc....) - hashtag the mobile camera you use especially if it's the latest iphone model. 6. add a location to all your photos, especially photos taken in the city where you are based. 7. tag the accounts of people who appear in all your photos, especially work photos, they may repost and mention you, and the tag shows up in their profile too. 8. follow more people with the same interests and in the same industry/specialty, do it genuinely, engage with them in their comments. They are likely to check your page out. accounts with obvious consistent themes do better. Thank you Melissa for your additional input. I'm not much for showing behind the scenes imagery, but you have some very good points! Thanks Jay! Anything from simply liking their photos to complimenting others work can sprout into building relationships with other photographers.